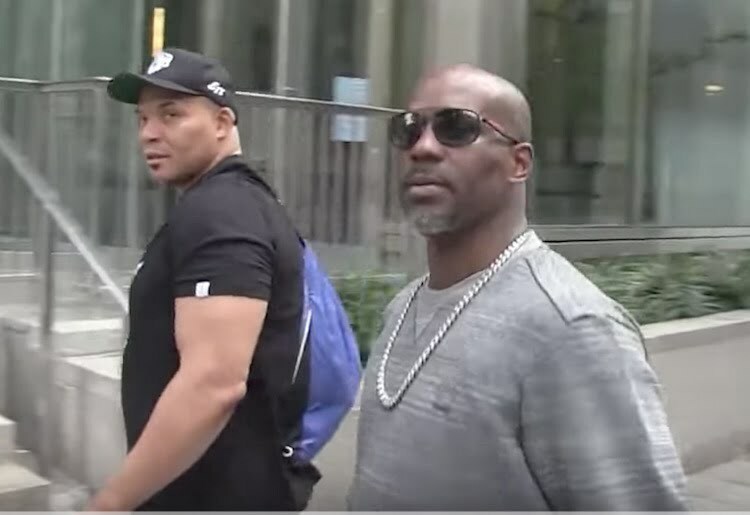 DMX is not only sober, he has packed on a ton of weight since going to rehab and it’s pretty evident in the video clip below. The legendary rapper checked into rehab in August after copping a deal with to avoid house arrest. Seems it was the best thing that ever happened to him because not only is he sober, but he gained over 40 pounds according to sources. A TMZ photographer caught up with the DMX today while going to court and asked him about his weight gain and the status of his tax evasion case. The photographer asked him if its true that he put on 40 lbs and how much does he weigh now. “I don’t know. you have a scale?” X responded jokingly. He was later asked what kind of diet he was on and he said he eats captain crunch cereal. The entire exchange with the paparazzo was hilarious, but it’s X’s health and image that everyone is zooming in on. Before going into rehab, he looked frail and overall not in his best shape. But now he looks a lot more energetic and upbeat. So you can conclude that rehab has been good to him and he should probably do more rehab to ensure that he stays off drugs. DMX is reportedly clean and sober and has been that way for weeks now, according to sources close to the rapper. He also got a big break in court recently when a judge gave him the green light to travel this fall to other states for touring so he can make some money. There are some reports that he is having some financial troubles and is next to broke because he has been unable to leave the state of New York for touring or any other reasons. He also has child support cases to deal with in court which also put some strain on his finances.